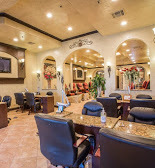 Traditional Pedicure along with Callus Treatment, Scrub Exfoliations,and hot towel, Citrus Scent, with a little more massage. 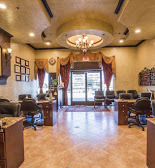 Traditional Pedicure, trim cuticles and shape nails, Foot Scrub, light massage. Pariffin Wax, Mask and Hot towel, Milk & Honey Scent, with a 12 min. massage. with an impressive 10min. massage. Hot Stones, Pariffin Wax, Mask and Hot towel, Lavender Scent, with a 12 mins massage. Can't wake up, Need some coffee? Best pedicure to get when you need some caffein. 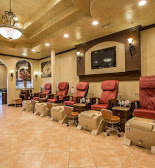 With some premix coffee in hand, and a Cappuccino Pedicure, you will be refresh for the day. 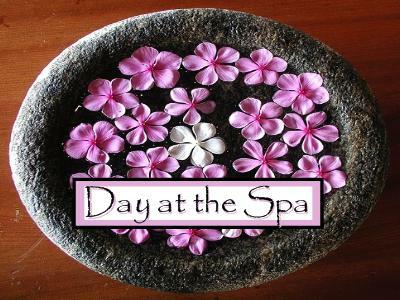 Including Callus Treatment, Scrub Exfoliations, Hot Stones, Pariffin Wax, Mask Cappuccino Scent, with a 15 min. massage. Pariffin Wax, Mask and Hot towel, Exotic Mango Scent, with a 15 min. massage. Pariffin Wax, Mask and Hot towel, Lemongrass, with a 15 min. massage. 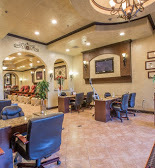 A Grade up From deluxe offers the same Callus Treatment, Scrub Exfoliations, and your choice of Hot Stones, Pariffin Wax, Mask and Hot towel, Refreshing Peppermint Scent, with a 12 min longer massage. Hot Stones, Pariffin Wax, Mask and Hot towel, with a 12 mins massage. Orange Scrub, Hot Stones, Pariffin Wax, Mask. Orange Scent with vitamin C bath, help increase collagen and firm skin with a 12 mins massage. Offers Callus Treatment, Scrub Exfoliations, Hot Stones, Pariffin Wax, Mask and Hot towel, Citric Lemon Scent, with a 12 mins massage.